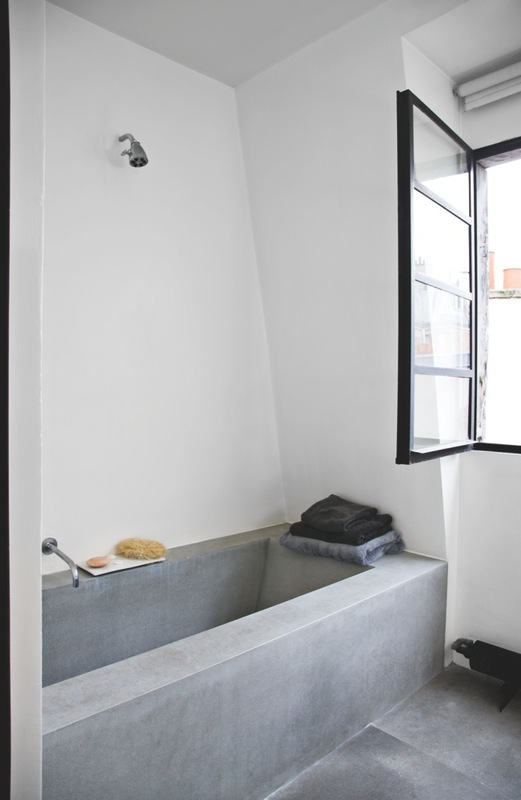 Industrial style bathroom with concrete bathtub and floor. In the Paris apartment of the Irish food writer and cookbook author Trish Deseine. Photographed by Morten Holtum, via Bolig Magasinet.